High-value items like keys to corporate vehicles, evidence kits in a police station or specialized medical equipment require extra protection. And when they’re checked out organizations need to know – in real time – where that asset is located and who’s using it. A British Columbia company’s developed a line of cabinet, locker and tracking solutions, using Iris ID technology, designed to handle those needs. Shannon Arnold, vice president of marketing for Real Time Networks, explains why the company’s KeyTracer cabinets and AssetTracer Smart Lockers are popular with many organizations. U.S. companies may lose up to $373 million annually to just one payroll scam known as buddy punching. It’s a real problem. 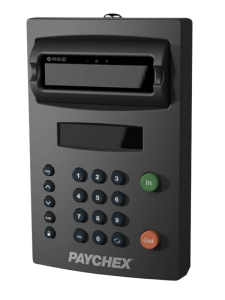 Paychex, a leading provider of payroll, HR and related services, recently installed Iris ID biometric readers in its latest time and attendance system to increase accuracy, speed and eliminate buddy punching at the time clock. Josh Mazza, Paychex product manager, discusses how the new system works. New biometrics technology increases safety and allow for quicker Canada—U.S. crossings. 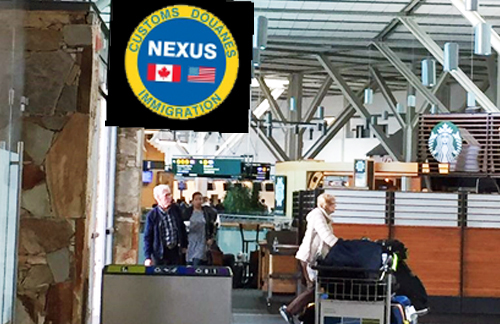 Iris ID in collaboration with IBM (NYSE:IBM) provides iris recognition technology to the Canada Border Services Agency’s NEXUS program. The biometric technology will improve security and expedite border clearance processes between Canada and the U.S. Enrolled travelers can now clear customs by simply looking into a camera that uses the eye’s iris as proof of identity. Members benefit from expedited security screening lines in preclearance areas at dedicated immigration lanes at more than 100 participating U.S. airports. At Georgia Southern University students pay for their meal in the two dining commons using a iris-based authentication system. 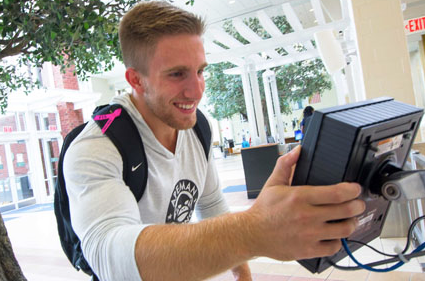 The commons’ iris-based ID authentication system became so popular with students the university recently added an Iris reader to access the campus’ recreation center. Since the first Iris ID reader was installed in August 2013, the systems has been used more than 3 million times. The Iris recognition technology eliminated the use of cards and became popular because of the speed and accuracy.